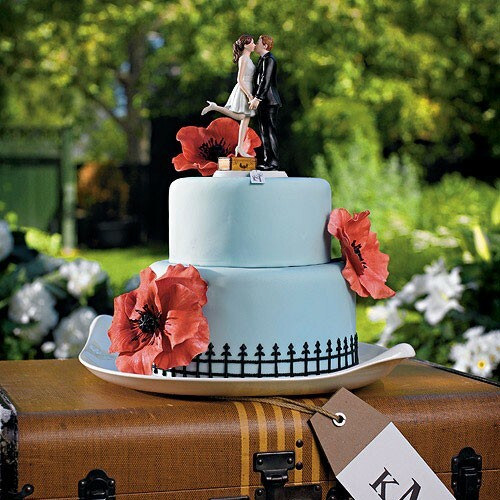 This couple shows all the excitement of a bride and groom about to start off on their first journey together as husband and wife. 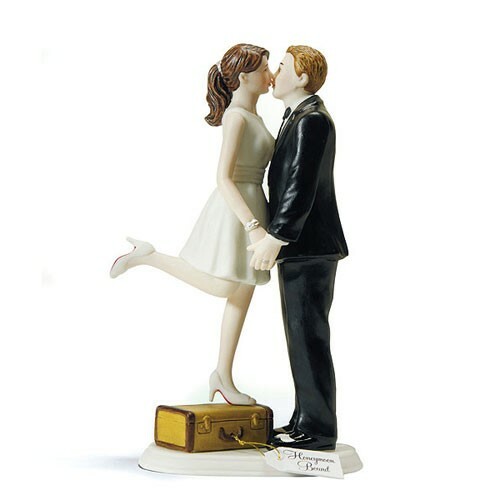 While perched on a suitcase the Bride steals a precious moment to kiss her Groom. 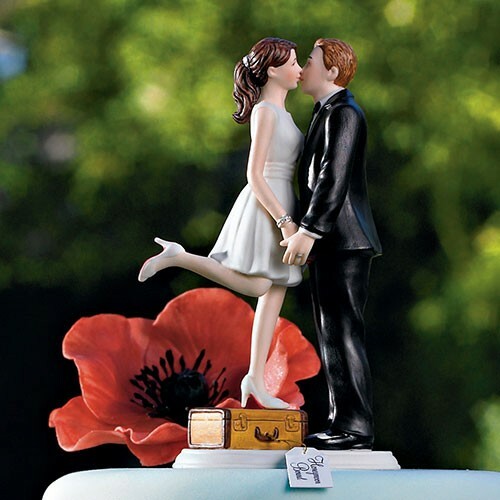 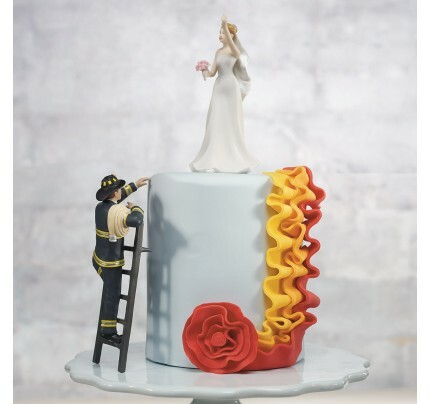 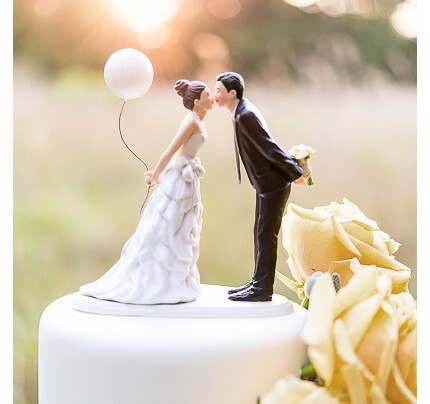 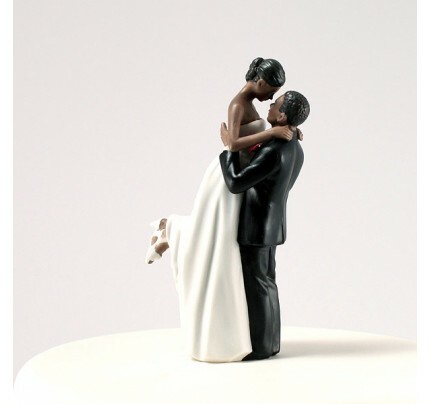 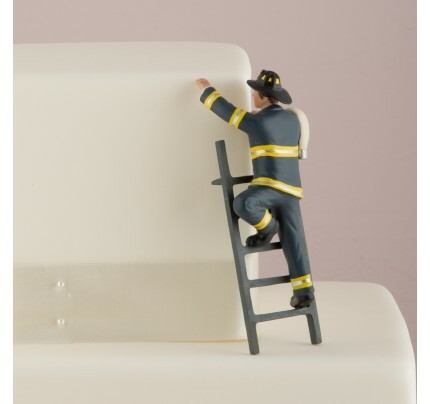 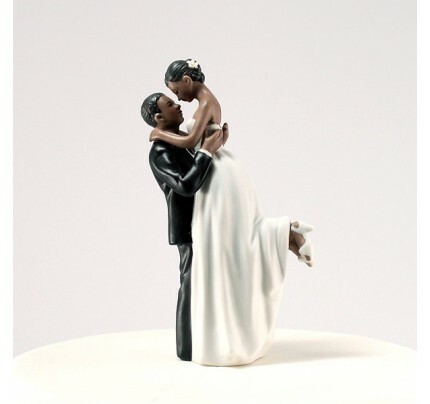 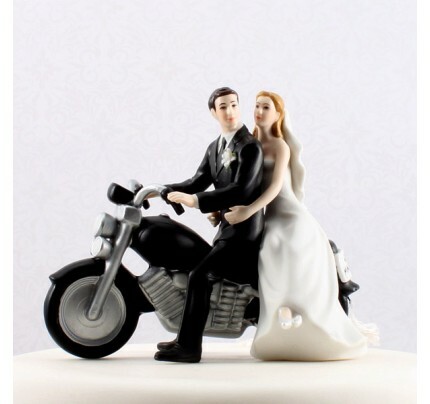 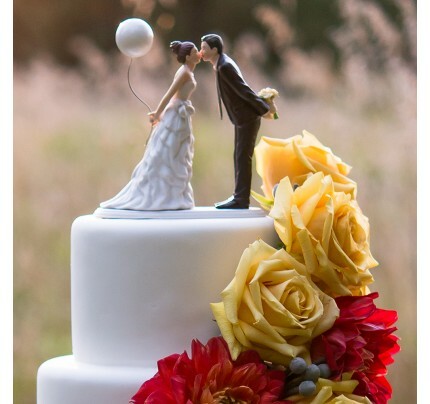 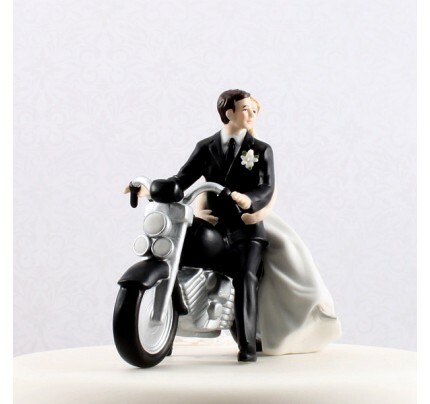 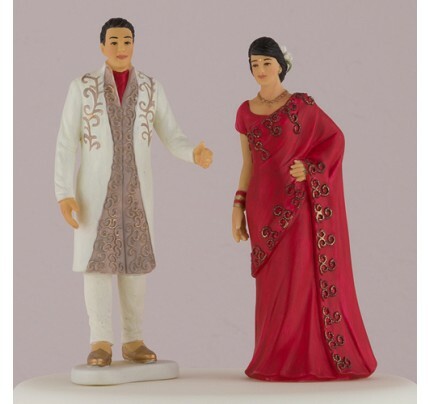 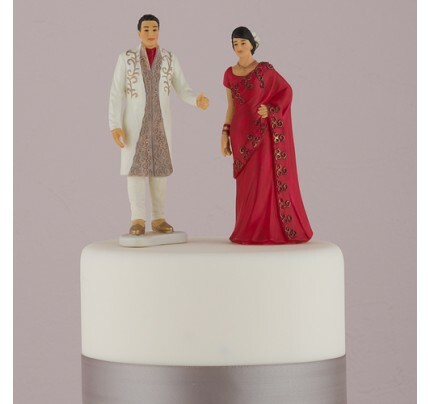 Hand painted porcelain wedding cake toppers.